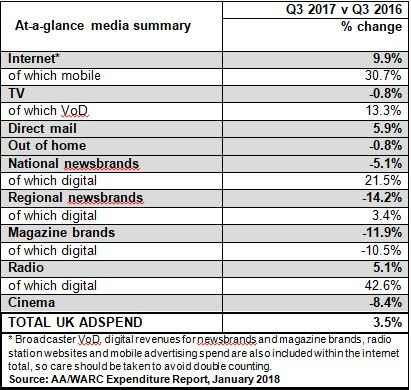 UK advertising spend in the third quarter of 2017 rose 3.5% year-on-year to reach £5.4bn - the 17th consecutive of market growth, according to figures from the Advertising Association and Warc. The increase underpins the AA’s preliminary figures that show 2017 spending grew to £22.1bn – up by 3.4% (an upgrade of 0.3 percentage points since the October forecast) and the eighth consecutive year of market growth. 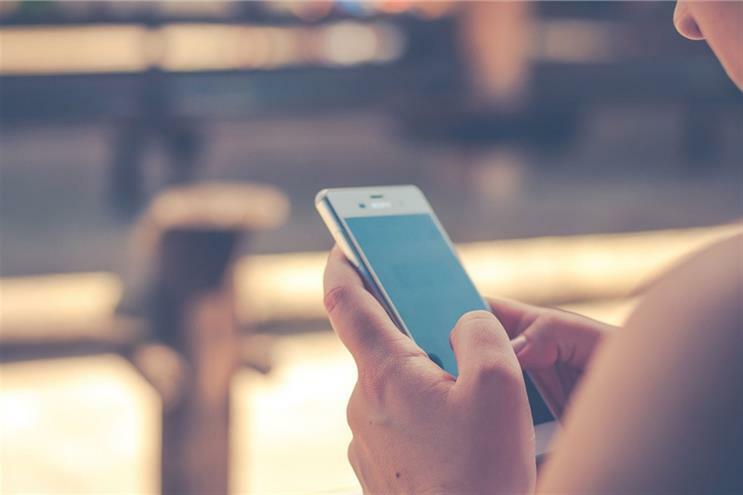 The report also revealed that almost one in four pounds spent on advertising in the third quarter of 2017 went to mobile, which recorded year-on-year growth of 30.7%. the AA’s preliminary estimates for 2017 put mobile adspend above £5bn, much of which is being invested in video ads on social platforms. Direct mail also recorded growth of 5.9% over the prior year, making it the strongest rise for the channel since 2011. 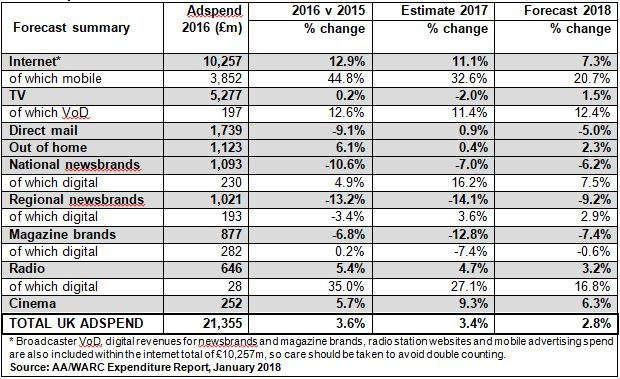 Adspend growth was up 9.9% year-on-year within internet as a whole, inclusive of digital revenues for newsbrands, magazine brands, TV and radio broadcasters. Year-on-year numbers were up 21.5% in Q3 2017 for national newsbrands, 42.6% for radio, and 13.3% for broadcaster video-on-demand. The AA is projecting that total market growth in 2018 is 2.8% to £22.7bn. Stephen Woodford, the chief executive at the Advertising Association said: "UK advertising is vital for the economy, generating £6 for every £1 spent and we know from the work of Credos, advertising’s think tank, that advertising is the engine of growth for UK business. "As we work through Brexit, we need to help Government make the best decisions to support our industry and, by extension, the wider UK economy as we target growth across the nations and regions and in an increasingly global marketplace.